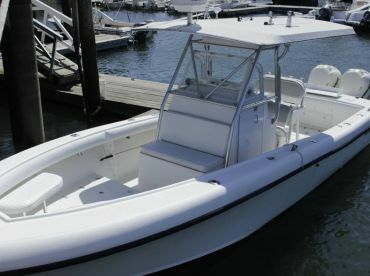 Between record-breaking Bluefin, Monster Makos, and an under-appreciated Marlin bite, the deep sea fishing Massachusetts enjoys each summer is simply legendary. Many captains come from families who have worked these waters for centuries and nothing but the most hardworking crews cut it in this land of giants. You’re in for a very special trip if you head offshore in Massachusetts. Bluefin Tuna over 1,200 lbs have been caught Massachusetts charters in the past. Both Bigeyes, and Yellowfins join them each summer as they chase schools of Mackerel up the coast. 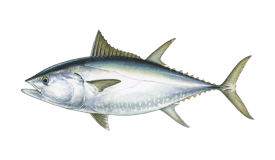 Tuna are some of the most prestigious food fish on the planet, and they absolutely do not come quietly on their way to the dinner table. 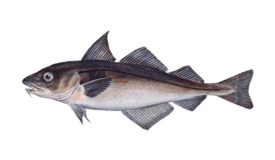 During early summer, the fish often sit just off the top of Cape Cod. You can reach them out of Boston and Gloucester, but Provincetown is right next door to the action. 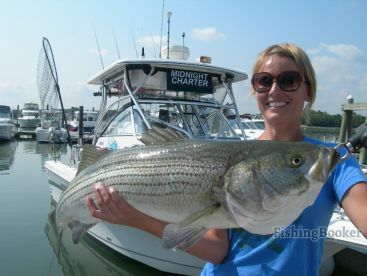 As the waters warm, the bite moves out east, and Orleans and Chatham can be great spots to launch from. 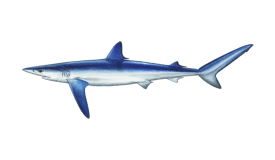 Fish don’t get much more fearsome than pelagic Sharks. 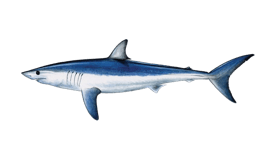 Chatham holds the IGFA all-tackle record for Mako Sharks, set at a staggering 1,221 lbs. It’s not just Makos here, though. Porbeagles, and Blues have both tipped the scales at 500 lbs, and Threshers get even bigger. Sharks show up all around Massachusetts. 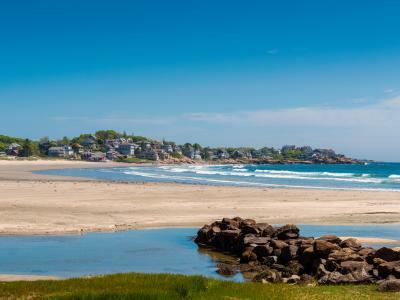 Falmouth and Barnstable are close to the famous sharking spots of Nantucket Sound and Martha’s Vineyard, while Winthrop, Marblehead, and Gloucester are all awesome for Shark fishing in Massachusetts Bay. Billfish may not get the same headlines here as Sharks or Tuna, but Blue and White Marlin both have a good late-summer season. Spots like the Dump and the Fingers do get Marlin, but the best action is out at the Canyons. 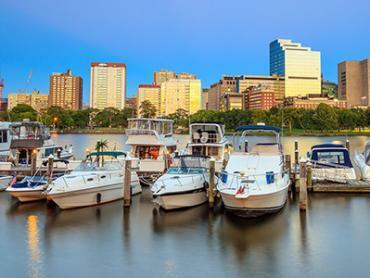 Starting your trip from Chatham or Orleans will give you a head start on your journey offshore, but overnight charters from Gloucester are just as good if you have the time. Skilled anglers cast for feeding Bluefin in topwater run-and-gun style trips. Popping rods and floating lures are the go-to setup, and a lot of the sport’s top equipment was developed and tested here, like the renowned Espada Series from Custom Angler. You can also catch Tuna by vertical jigging on stand-up spinning gear, using either hard or soft-bodied jigs. Shimano Butterflies and RonZ Big Game series are both local favorites. Chunking and chumming are timeless tactics for attracting monster Sharks. Use heavy-action conventional stand-up gear and Ilander lures or big oily baits like mackerel or bluefish. If you’re going after Marlin, expect to troll using Ballyhoo or Mackerel with Mold Crafts or Sea Witches skirts in colors like green/chartreuse, black/purple, or white/pink. Whatever you’re after, and however you want to catch it, you can find someone who has been doing it here for decades. Bluewater runs in the blood of every local charter captain, so take a trip to Massachusetts and find out just how good the fishing is here. 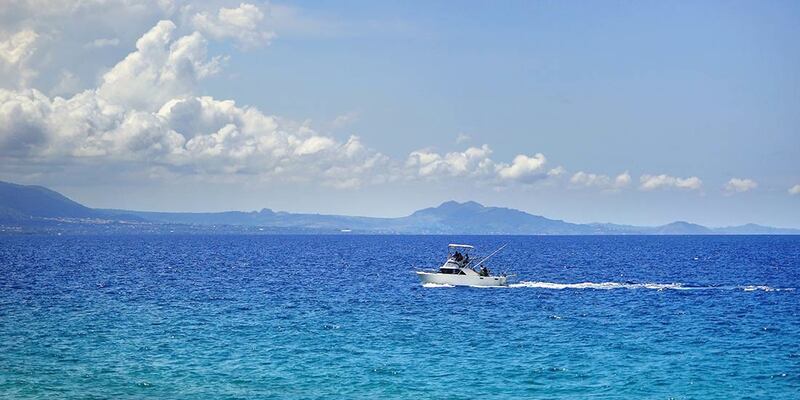 We warn you, you’ll be coming back again and again!